Many times, an organization or person intends to take up an initiative but does not have enough funds for the purpose. In such a scenario a donation from other people or organization can pave the path by making this initiative a success. However, in order to get a donation, a request has to be sent. It is for this purpose that Request Forms is used. It elaborates the details of the initiative along with the intended budget. 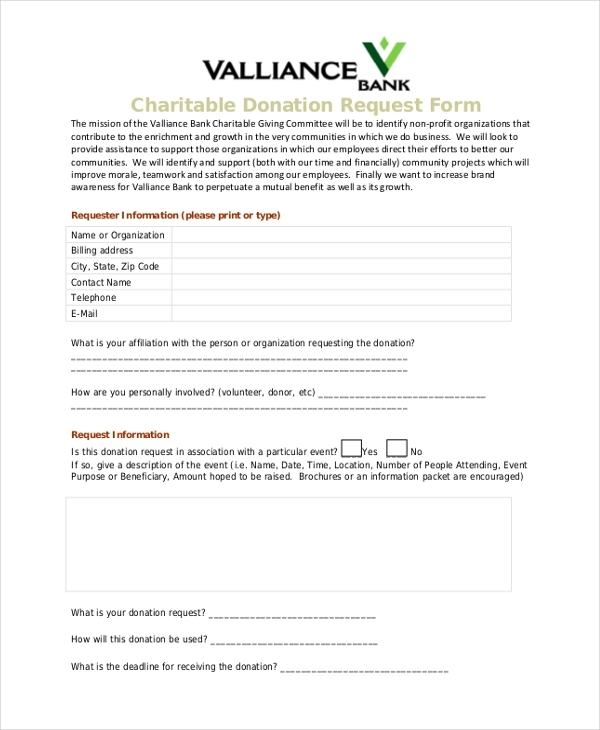 This form is usually used by financial institutions to help charitable trusts and non-profit agencies to raise a donation request with them to help finance various charitable events. This form is generally used by a business organization to enable social workers and non-profit organizations to raise a request for an initiative or project. An organization that willing to donate funds to various social initiatives and projects makes use of this form such that people looking for a donation can elaborate on the purpose for which they might be seeking funds. 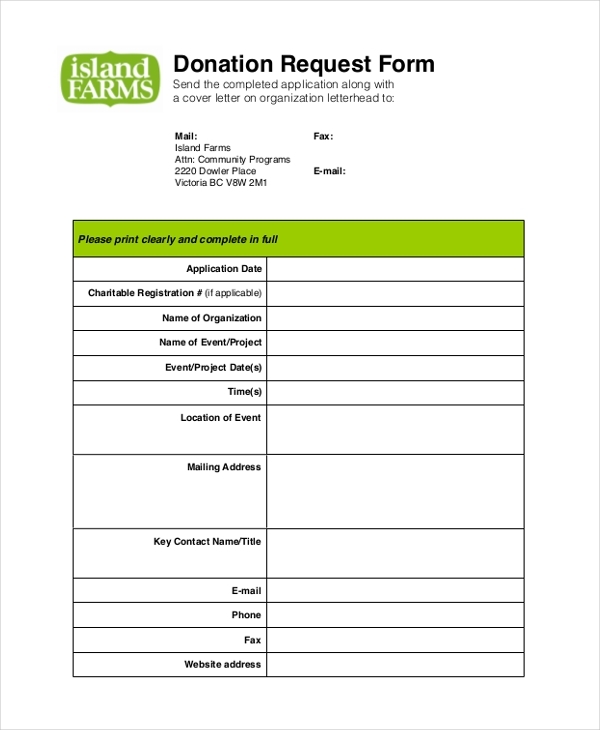 This template gives a user a rough idea of how a donation request form should look. The user can use this form after making necessary changes to it. 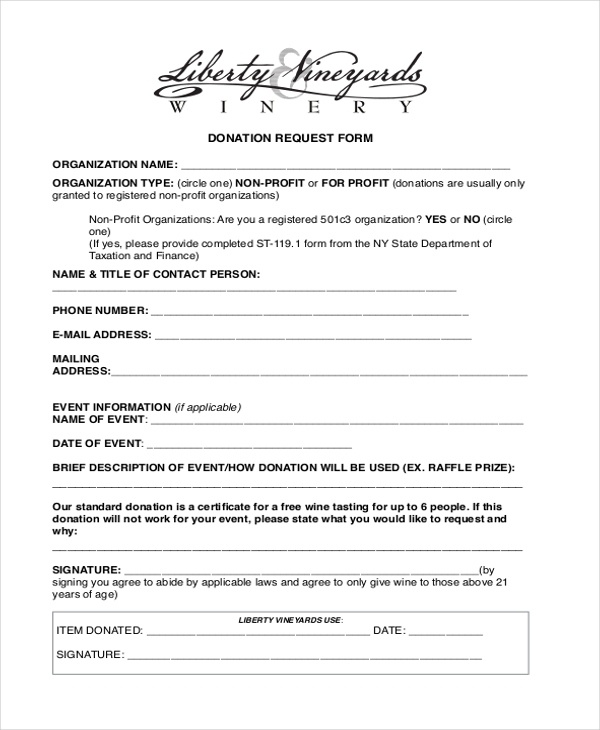 As the name indicates, this form is used to request an organization or a person to sponsor an event or a project. The form comprises of segments where the details of the event can be entered. 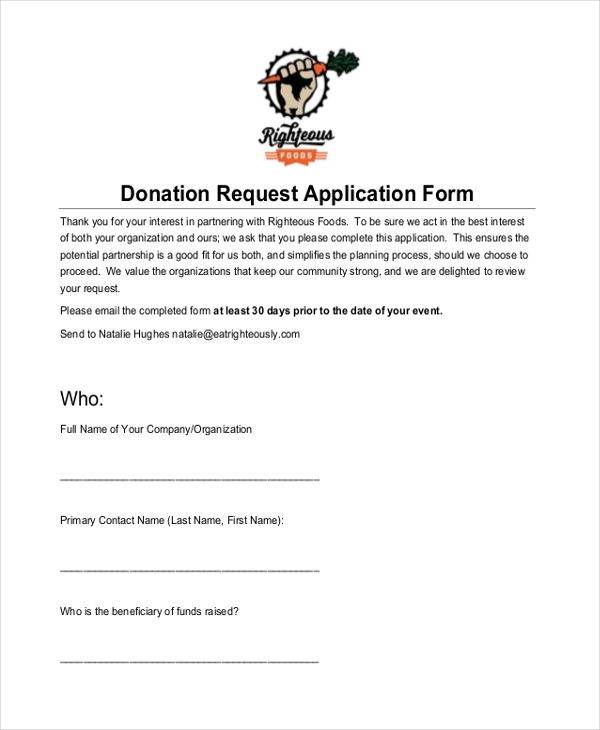 A warehouse that may be interested in granting donations to the needy uses this form to enable non-profit organizations to raise a request for a donation. 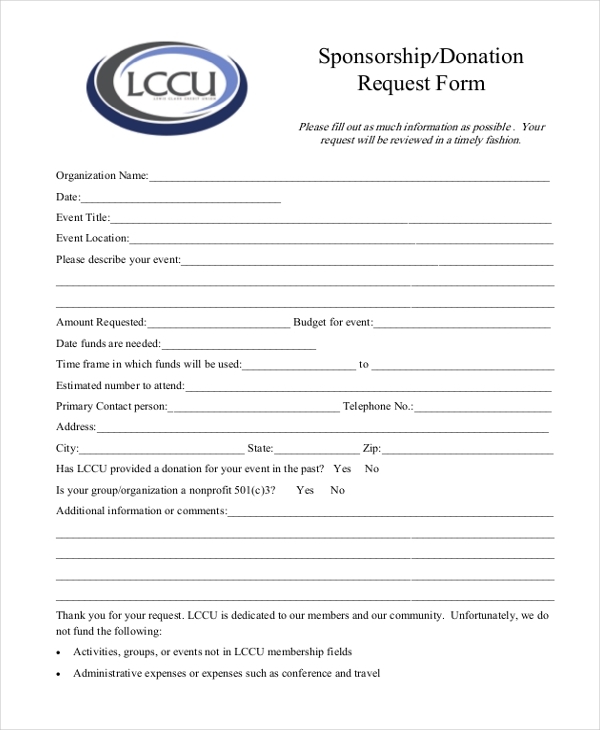 This form is usually used by a financial organization to allow its patrons and other agencies to request them for funds for a social initiative or project. Any organization that may be interested in offering donations for social initiatives or to help the needy use this form to help the people to raise a valid request for the funds. 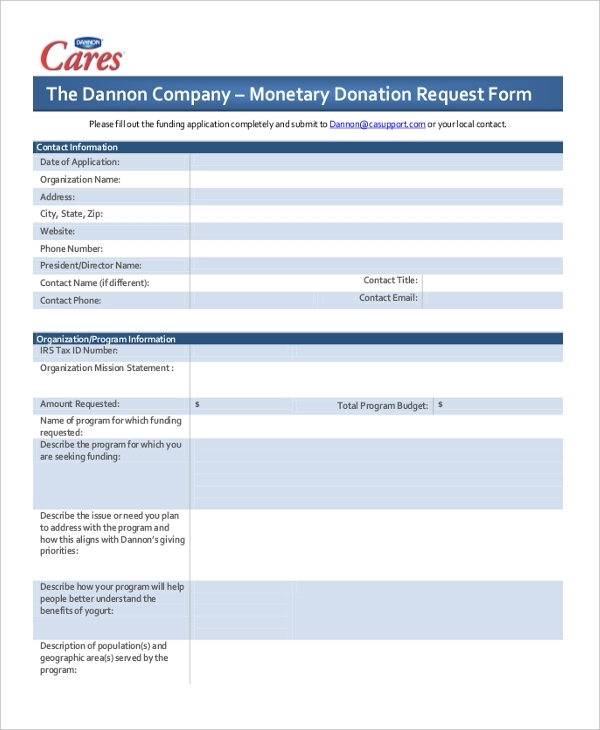 This form is used by a person or agency that is seeking donation to fund a specific initiative or project rather than in general. The form contains all the details of the project. 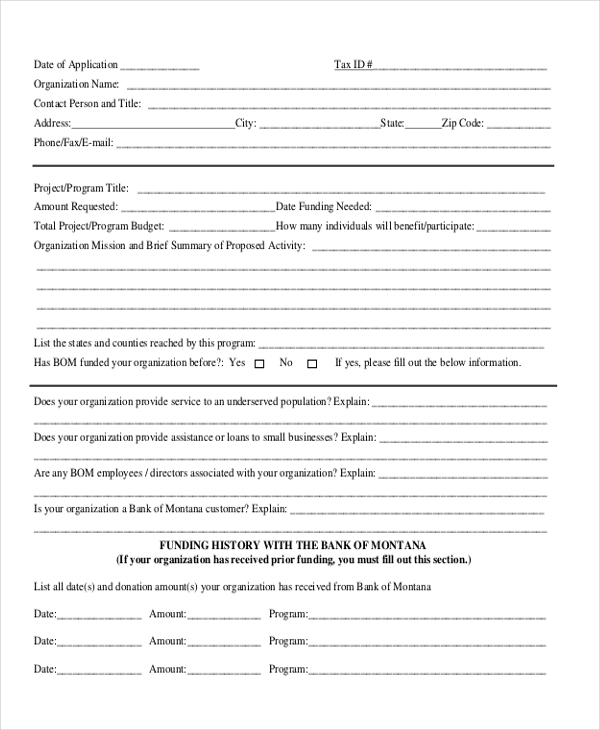 As the name indicates, this form is used by an agency to request for monetary help from an organization or person to fund an initiative or project. 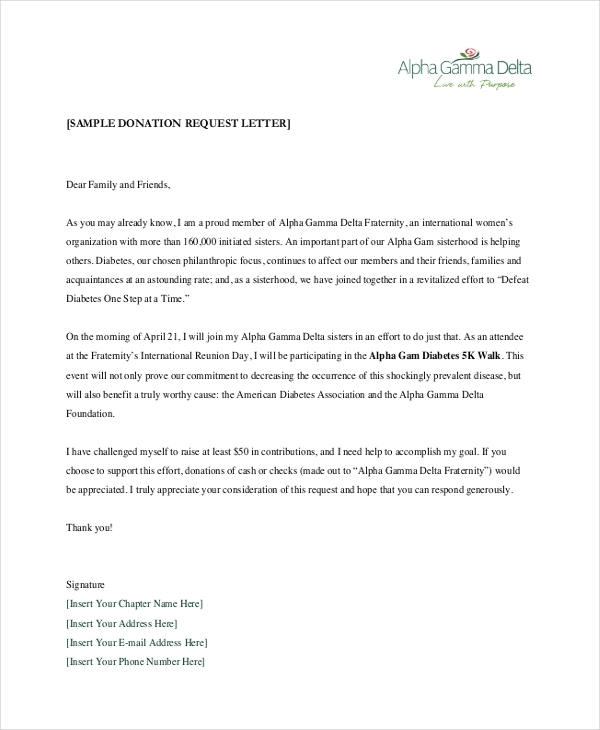 What are the Benefits of Using Donation Request Forms? The form can be used as a record by the donor to avail tax exemptions You may also see Event Request Forms. A donation request form when designed in an efficient manner can make it easier to explain the project details and to understand it. In case you are not really sure how to design such a form, go ahead and check out our collection of donation request forms. You can easily download these and make changes to them as per your needs. You can also see Service Request Forms.